Peter Krämer was born in 1969. At the age of 10 he started to teach himself the guitar. He made his first experiences in bands as a bass player, before he discovered the djembe at the age of 18 and received formal instruction from people like Cheikh Tidiane Niane from Senegal. After some years as a percussionist in Jazz projects he came in touch with indian music and aspired to intensive training on the Sitar during a six months trip to India in 1994-95. Before that trip he released his first CD `Ethnological Forgery Series´ in 1994, on which he played almost all the Instruments himself and displayed his interest in african and asian music in his compositions. After that he became a member of the german group Embryo during 1996 to 98 and toured with them throughout Germany, Italy and Spain. In 1998 he released his second CD `Nada Sunshine´ on which he was cooperating with musicians from the the scene around Embryo like Christian Burchard and others. In 2000 he met the sarod player Amit Bhattacharya in Varanasi India and organised two toures through Germany together with him and his Cousin Sandip Bhattacharya from Amsterdam. It was then when he first played the cajon to accompany the tabla. He continued as a cajon player and played several concerts with Chris Karrer, guitarist of the famous German band Amon Düül, Rashid Haroun from Algeria, Titus Waldenfels, Monty Waters, Jamal Mohmand from Afghanistan and many others. In 2003 he moved into a house, renovated it and decided to organise house concerts there, the idea of WeltenKlangHaus was born. Since then he managed to organise 10 concerts per year there with musicians from all continents but mostly from India. Several projects emerged from that venue like the Shanti Collective together with Subrata Manna on the tablas and the vocalist Sudokshina Chatterjee, Navarasa together with sitar virtuoso Partha Bose and Nikola Lutz on the saxophone and also a project with kathak dancer Sohini Debnath from Kolkata. On a trip to Morocco he met the singer and oud player Ghoubid Mustapha who introduced him to the oud. In recent years he played concerts with muiscians like Liviu Jean Manciu from Romania, Rajib Karmakar from Kolkata, Manoj Baruah from Assam, Shankar Chowdhury and many more. 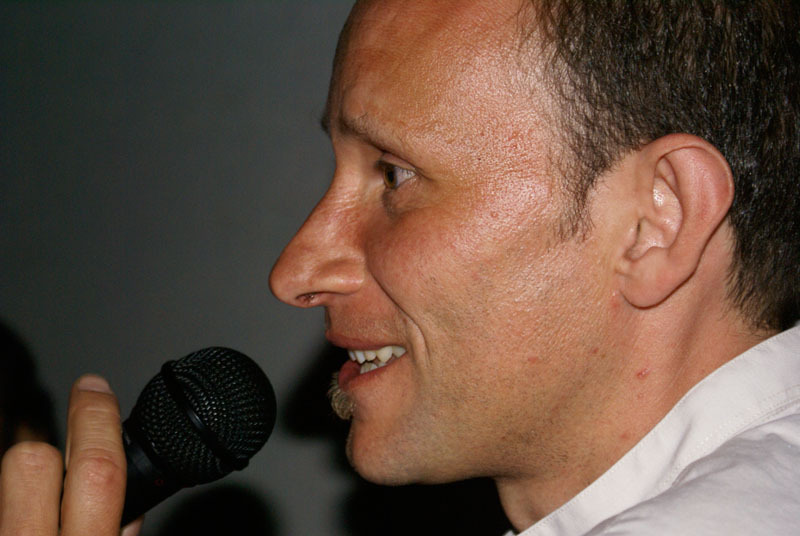 Since 2004 Peter Krämer teaches percussion and music in primary schools and gives further vocational training for teachers in the field of percussion and music for kids.